Armada Music recently announced the signing of English DJ/producer Michael Woods and his label Diffused Music. The first release of the label under Armada’s wings will be Michael’s very own single ‘Overflowing’. Armada and Michael have already been working closely together for some time, resulting in singles that saw their release on Armada this year: Michael Woods’ records ‘Tequila Nites’ and ‘Slice Of Life’. 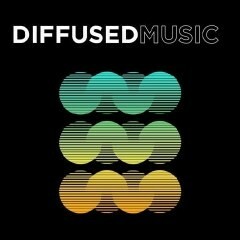 Diffused Music was founded in 2008 and aimed at finding and nurturing new talent. Michael Woods established himself after first breaking onto the scene as a teenager. He produced the 2000’s top 20 UK hit ‘Warrior’, was responsible for the production of Example’s only UK #1 ‘Changed The Way You Kiss Me’, selling 1.5 million copies, and holds down a residency at Las Vegas nightclub LiFE at SLS. Michael Woods’ 'Overflowing’ is set for release on Diffused Music on 18 May.